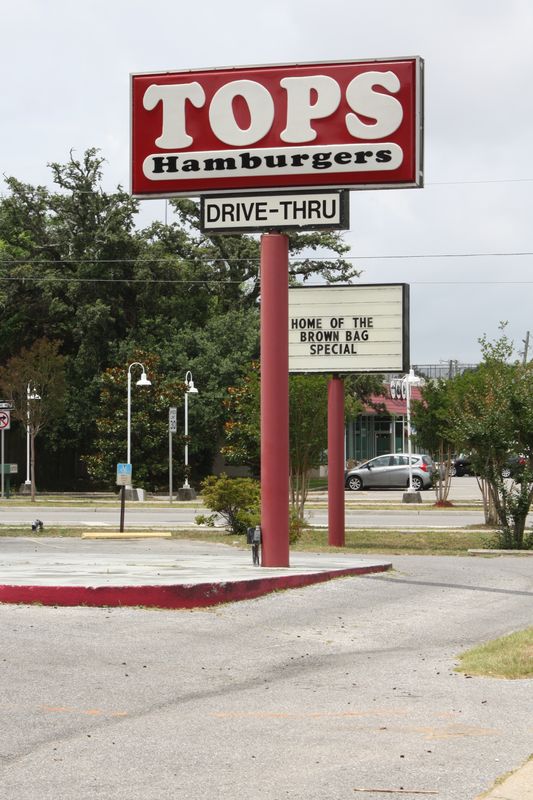 Tops Choice Hamburgers is a drive thru on Cervantes with no indoor seating. But that doesn’t stop their faithful customers from lining up every day at their Drive Thru window. The Tops burger is presented in a brown paper bag that’s soaked in grease the moment it’s handed to you. Mmmmm, grease, the proven sweat marks of flavor. Wrapped individually in wax paper (also soaked in grease) the Tops burger doesn’t look like much, but how would it TASTE? The Tops burger drew many comparisons to a fast food burger- only slightly better in every category. It’s one of those “better than fast food” burgers- tasty, quick and inexpensive. The Tops burger sparked an interesting conversation among our panel members about how well a burger “travels.” Most agree that burgers are best consumed immediately. This runs counter to the Tops business model. 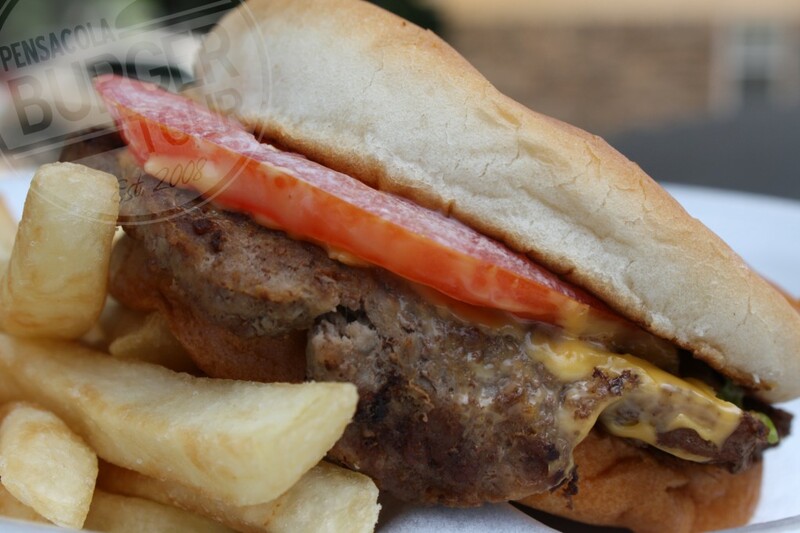 Unless consumed in your car or while standing in their parking lot- The Tops burger is designed to be consumed elsewhere; brought home, to the office or a park. That’s a challenge for a burger that doesn’t “travel” exceptionally well. At the end of the day, the hamburger at Tops is like our Accountant; It doesn’t look like much but people seem to like it anyway. It finished with a final score of 5.17 which won’t land it in one of our top spots, but it’s a good, quick, inexpensive burger. Frankly, you’d be a hard pressed to find anything that tastes this good for less than $3.00.